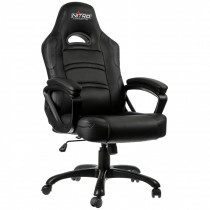 From gamers for gamers - if you are looking for an inexpensive but high-quality gaming chair, Nitro Concepts is sure to find the right model for you. The gaming chairs of this company, founded in 2016, offer a lot of comfort and an innovative design. Classical elements taken from the racing sector as well as futuristic elements flow into the design of Nitro Concepts gaming chairs. In addition to the that, the Nitro Concepts chairs' ergonomic adjustment options, which are reminiscent of real office chairs, are particularly convincing. 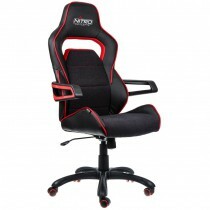 The success of Nitro Concepts' gaming chains is based not only on their appealing design, but also on the high-quality components of the gaming chairs and the high quality standards of the manufacturer. 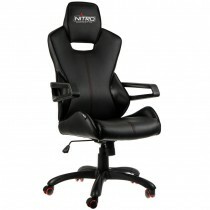 First-class gas springs in performance class 4, practical rocking mechanisms, robust steel frames, deformation-resistant cold foam padding and durable covers made of vegan PU artificial leather and/or fabric make Nitro Concepts gaming chairs a real pleasure to sit on. The simple term C80 stands for the Carbon Class gaming chairs for price-conscious gamers. The gaming chairs of the Comfort, Motion and Pure series share the colour accentuated and particularly smooth-running castors, a particularly light base with a sturdy nylon core, an upholstery made of brand-new cold foam, armrests with a soft padding and a carbon-look backrest. As a special highlight, the gaming chairs are equipped with a rocking mechanism, which can be found in quality office chairs. 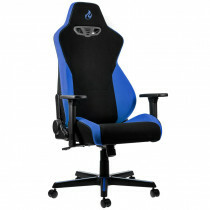 Race & Evo: Perfectly designed gaming chairs for maximum comfort! 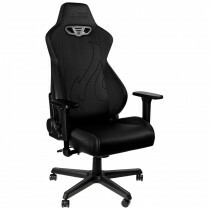 The E200 Race and E220 Evo series from the Excellence Class consist of elegant gaming chairs with stylish racing look, futuristic design armrests, comfortable cold foam upholstery and an innovative material concept. The E200-Race series has a masterful design and convinces with its breathable PU leatherette cover with perforation. With the E220-Evo series, the manufacturer has opted for a hybrid cover made of PU synthetic leather on the side panels and soft fabric on the seat for the first time. Both model series are available in seven different colours. 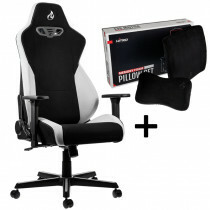 "Boost Your Setup" with the high class S300 series. 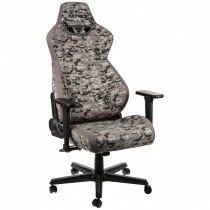 The current spearhead of Nitro Concepts' development is the optically unique S300 series - top-class gaming chairs with high-quality materials such as a fine, breathable fabric cover, the sturdy chair cross with a load-bearing capacity of up to 135 kg, high-density, deformation-resistant cold foam and numerous adjustment options for optimum ergonomics. 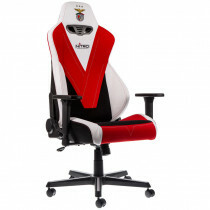 The S300 also sets new trends with its colour concept and is available in seven different intensive colour combinations and special editions such as the SL Benfica Lisbon version.